Yesterday I learned that a friend had died when I clicked on his Facebook page. It had been a while since I’d checked in on this particular friend – and it was shocking, to say the least, to see the notice of his death dated September 19, at the top of the page. I read it a few times, just to make sure I understood what it said. I couldn’t believe he had died, just could not believe it. I think part of my shock was finding out this way, on his Facebook page, his happy face smiling at me from his profile picture as I read the news. Is this any different than reading an obituary in the newspaper? I guess it really isn’t – except in the newspaper, when you turn to the obituaries, you kind of know what to expect. When you click around Facebook, checking in on your various friends, picking a random person from your list for no other reason than curiosity, it’s pretty shocking to find out they’ve died, believe me. You go from looking at pictures of someone’s pets on one page to a notice for a funeral on another. I was very, very sad to learn this man had died, at the too young age of 57. He had once been important in my life, and I had been happy to see him on Facebook when he “friended” me about a year ago. There wasn’t more to it than that – we didn’t chat, or exchange posts or anything. It was just nice to see him, older of course, but still the same face I remembered. And then he died. Wow. I called his wife, just to tell her how sorry I was. We’d never met, and she probably had no idea who I was – but she listened as I expressed my condolences and told me he had died quickly, of pancreatic cancer, 2 months after he had been diagnosed. I imagine this isn’t the last time I’ll learn of the death of a friend this way – Facebook has become such a big part of so many of our lives, and we share so much about ourselves and the lives we are living, it seems logical to find out friends have died on Facebook too. I mourn the loss of Steve Jobs,along with the rest of the world. He was one of the world’s greatest visionaries ever. However, I know that far more eloquent people than I will be eulogizing him, so I will pass on the opportunity to share my thoughts about this brilliant man. However, his death did get me thinking about something that is sort of overwhelming – how many people’s lives he touched, and, in a much, much smaller way, how many people’s lives I’ve touched – and how many have made a mark on my life, too. Have you ever given this any consideration? Do you remember the kid you used to wait with at the bus stop in 3rd grade? 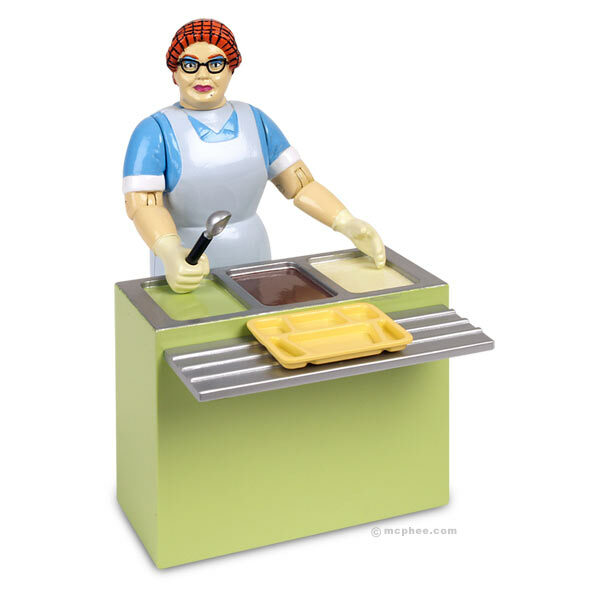 How about the lunch lady you and your friends would harass in junior high? Do you remember that boy that had a massive crush on you in 9th grade, the one you just wanted to “be friends” with? Imagine what kind of an impact you might have had on his life. There was your RA in college, the one you thought was such a dork, but who probably had to work his tail off just to pay the bills and tuition. There was the waitress at the Denny’s where you went with your friends after parties and ordered coffee and split one dessert between 6 people. Hmmm. One thing facebook has done, for better or worse, is take away a lot of that “whatever happened to” mystery- wondering about old friends, romances, roommates, co-workers, even family members – pretty much any name a person can dig up. You don’t always actually connect with everyone – sometimes its just enough to see their picture and where they live. Now you can find out, basically, where most everyone you’ve ever been curious about is, and what everyone is up to. And, of course, they know all about you too. Just this week, I had a cousin – well, the granddaughter of my grandmother’s sister – (and if you know what cousin that is, please let me know!) contact me. It was such a great moment, reading her email, in which she talked about her memories of my grandparents – just that little connection meant so much to me. Then we became facebook friends, and looked at each other’s pictures, and who knows if we’ll ever talk again…but that’s ok, because knowing that she was thinking of me, found me, and wrote to me was enough. With facebook, this kind of think can happen often, but it never fails to give me a little thrill, finding someone I once knew, or, even better, being found by someone who was looking for me. Sometimes people come back into my life who I barely remember, but who vividly remember me. That’s kind of an odd experience. But it’s ok too, because everyone who remembers you, even in a small way, is somehow keeping that version of you alive, their interpretation of who you are, or who you were, for better or worse. And what more do we all want, ultimately, than to know that, out there, people are thinking of of us, remembering us – that we had, even briefly, an impact on their lives. There’s no doubt Steve Jobs will be remembered, written about, and revered for decades, if not centuries, to come. And though the memory of who I am will certainly fade away from this world long, long before his iconic persona does, at least I know that I’ve made an imprint on some of the people whose lives I’ve passed through. And, more importantly, I know I wouldn’t be who I am without the hundreds of moments shared with others – both important and fleeting.